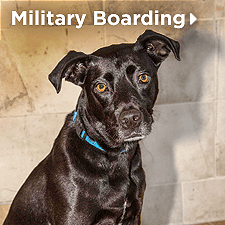 Donte's Den provides a home-like setting and quality care for canine companions who are separated from their owners due to illness, injury, abandonment, long-term travel or military deployment. As a 501(c)3 nonprofit charitable organization, Donte's Den comes to the aid of abandoned dogs, providing a cheerful temporary home while working to place them with a loving family. If you have love to share, please consider joining our pack of human care givers who will walk and care for the dogs, provide administrative support or join fundraising initiatives. Donte's Den is based on community: a community of dogs, a community of volunteers and a community of sponsors who provide donations to keep this haven for dogs operating. Join us today with a personal donation or corporate sponsorship. HELP US BUILD MORE DENS FOR MORE HAPPY DOGS! Since Donte’s Den opened, we’ve helped hundreds of dogs by providing them a home-like setting full of love and quality care. We can help hundreds more by giving them the home they deserve, but not without your help! Please take a moment to share your tax deductible donation of love! Click here to help us, help more! At Donte's Den, all dogs are top dogs. 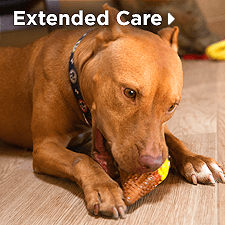 Our programs cover a wide range of services for dogs who, for one reason or another, can no longer live at home. Finding homes for dogs who no longer have anyone to care for them. Caring for dogs whose owners are no longer with them. A loving home until their owners return from deployment. 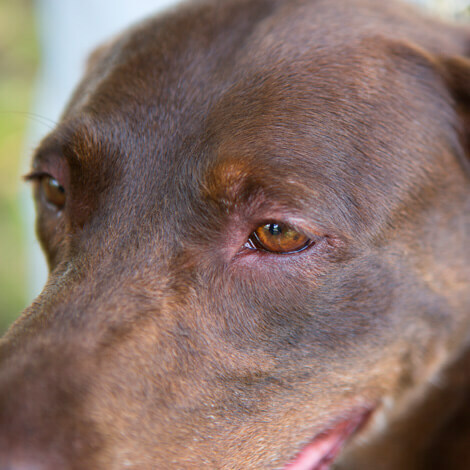 Caring for dogs whose owners are sick or injured. All our pups receive lots of love and attention, are properly immunized, spayed or neutered, and in good overall health. Plus, prospective pet parents undergo a thorough adoption review to ensure a lifetime of love. 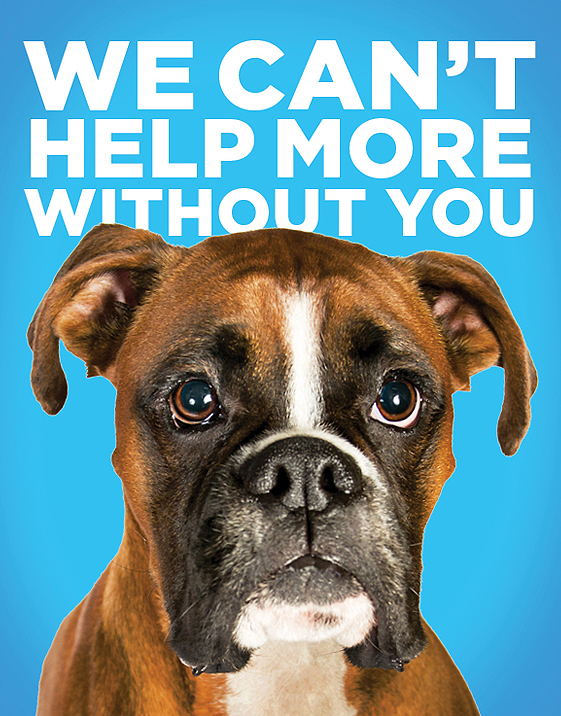 Want to be thanked with puppy kisses and nuzzles? There are many ways to become part of the Donte’s Den family, whether at our cutting-edge campus, in the community, or even in your home. Your help is needed and appreciated. There are so many ways to support the mission of love at Donte’s Den: Honor/Memorial Gift, Planned Giving, Monthly Giving or whatever suits you best. You can make one lucky dog’s day! 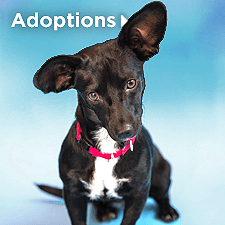 Fall in love with one of our loveable pups but can’t take them home? You can still give them all the love and care they need through your directed donations. We welcome like-minded organizations to join us in expanding our mission of love. The best place to be a dog. 50 acres of joy, expertly designed for canine well-being. 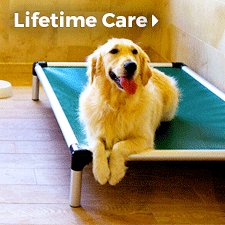 Pine trails, hydrotherapy pool, onsite veterinary care, grooming center with a community of caring, well-trained humans focused 24/7 on the love, care and health of our loveable pups. A loving haven for our furry friends. Donte’s Den is the realization of a long-time dream of Founder Marsha Panuce and her late husband Don. Named for the couple’s beloved standard Schnauzer, Donte, Donte’s Den has been thoughtfully designed to be a continuation of home for canines who need it.